Bamboo plants are a type of fast growing grass that has hundreds of different cultivars. Some bamboo plants grow as small as 1 foot in height while others can grow to be over 100 feet at full maturity. There are even some varieties that grow as much as 4 feet in height per day. In general, the clumping type of bamboo plant is usually a tropical plant that prefers heat. Clumping bamboo plants have short short roots that are not able to grow more than a couple of inches each year. This type of bamboo plant grows as a small cluster that can require anywhere from 2 to 10 feet of space around it to reach its full maturity. Clumping bamboo plants are good for creating privacy screens and decorative or ornamental bamboo plantings. Clumping bamboo creates very dense privacy screens, but they'll fill in at a much slower pace than running bamboo varieties will. Running bamboo plants are usually temperate, meaning there are varieties that can tolerate more cold or more heat. Running bamboo plants have root systems much more like grass, in that they send out runners underground to take root and grow elsewhere--sometimes much farther away from the original plant than you might expect. Running bamboo can become invasive if not planted with a barrier, but since the running roots are shallow--staying just 2 to 18 inches below the ground surface--they're easy to contain. Tall timber bamboo is a combination of different varieties that grow well over 40 feet tall. Most cultivars are running bamboo and tend to tolerate the temperature and climate differences across most of the United States. 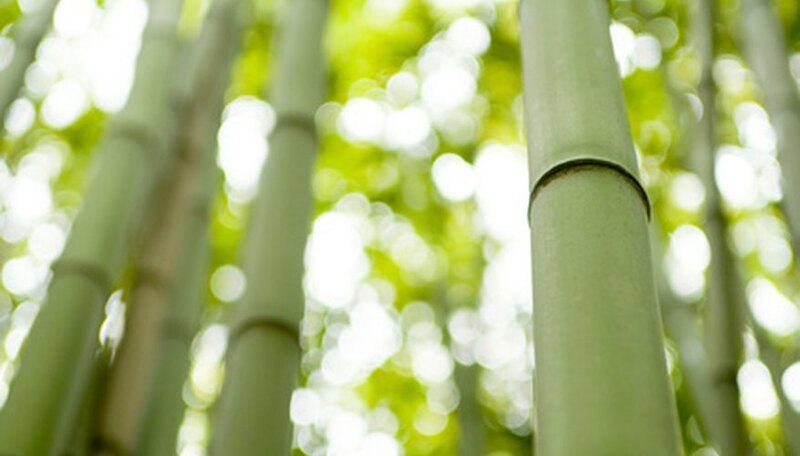 According to BambooGarden.com, a properly cared for and established grove of P. vivax Bamboo can send up new shoots in April and have those same shoots be as tall as 60 feet in height by June of the same year.